Today’s Cyber Monday and online shoppers across the United States, Canada and many other parts of the world are participating in what very well may be one of the busiest online shopping days ever. 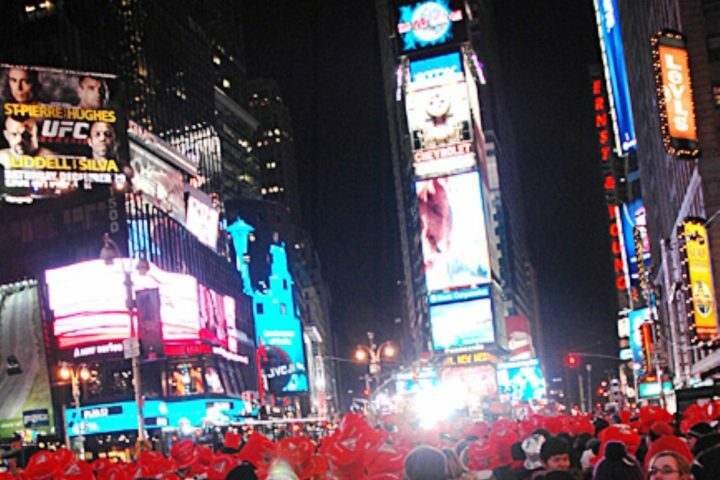 This relatively new holiday which officially took place in 2005 is the cyber equivalent of Black Friday. Cyber Monday dates back to the early 2000’s, when many shoppers would scout-out items on Black Friday weekend and return to the workplace the following Monday to seek out the very best online deals. Connection speeds were considerably faster in the workplace at the time and many waited for Monday to shop for the best online buys. 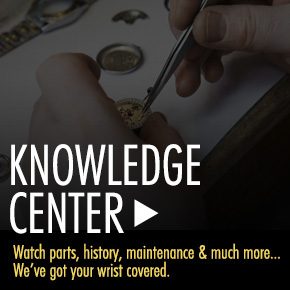 You’re certain to find the best Cyber Monday buys today at World of Watches. We’ve dropped prices to the floor on thousands of today’s most-wanted watches, sunglasses and jewelry for men and women from today’s most sought-after brands, including Invicta, Michael Kors, Swiss Legend, Gucci, Ebel, Oris, Bulova, Movado, Omega, Hublot, TAG Heuer, Luminox, Citizen, Elini Barokas, Raymond Weil, Mulco, TechnoMarine and more. 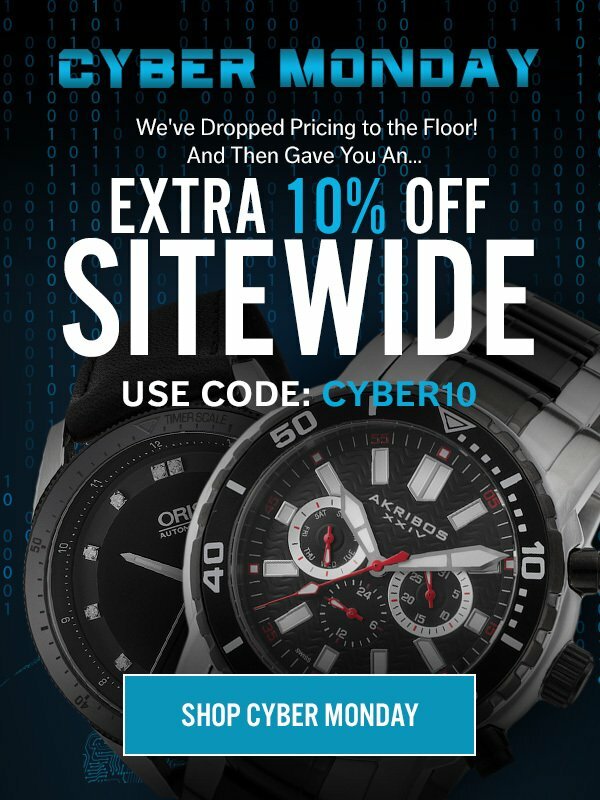 What’s more you can save an Extra 10% Off your entire purchase for one day only, when you use the Code CYBER10. The Inivicta Venom Sea Dragon Automatic watch is an outstanding choice for men and also an extraordinary diver’s watch with water-resistance to 1,000 meters or 3,300 feet. This robust and rugged men’s watch features a contoured round case in a contrasting brushed and polished stainless steel. The high-performance black silicone strap adds to the stylish good looks. The unidirectional rotating bezel in black ion-plated stainless steel with screened markers surrounds the metallic silver colored dial with luminous skeleton hands and luminous cabochon dot hour markers. A window at the 3 o’clock hour reveals the automatic date calendar. An exhibition skeleton case back lets you see the intricate automatic movement inside. 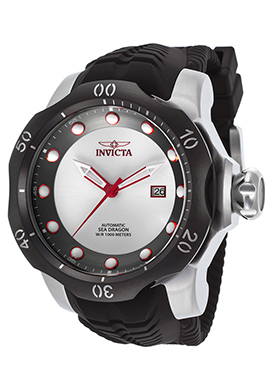 The Inivicta Venom Sea Dragon Automatic watch is 53mm in diameter and 21mm thick. 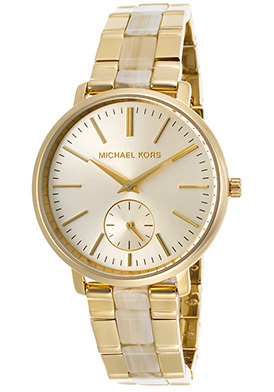 The Michael Kors Jaryn Women’s Watch is a Cyber Monday standout for women. This high-fashion women’s watch is at the fashion forefront in lustrous yellow gold-tone stainless steel. The generously oversized round case in yellow gold-tone stainless steel is highly polished to a mirror bright glow. The matching triple-link bracelet in polished yellow gold-tone stainless steel features lustrous beige acetate center links. The sunray champagne colored dial shines with a small-second window at the 6 o’clock hour, yellow gold-tone sword hands and baton hour markers. Features include quality quartz movement inside and water-resistance to 50 meters or 165 feet. The Michael Kors Jaryn Women’s Watch is 38mm in diameter and 9mm thick. 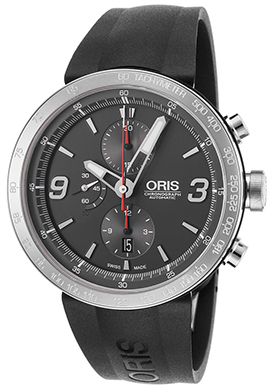 The Oris TT1 Automatic Chronograph is an outstanding high-end Cyber Monday choice for men. This premium crafted Swiss-made men’s watch features the perfectly round case in brushed stainless steel, presented on a handsome black rubber strap. The stationary tachymeter bezel with engraved markers surrounds the black dial with three sub-dials, luminous skeleton hands, baton and Arabic numeral hour markers. Features include an automatic date window, small-second, 30-minute and 12-hour registers. An exhibition skeleton case back lets you see the precision Swiss-made automatic movement inside. Additional features include a scratch resistant sapphire crystal above the dial along with water-resistance to 100 meters or 330 feet. The Oris TT1 Automatic Chronograph is 45mm in diameter and 15mm thick. 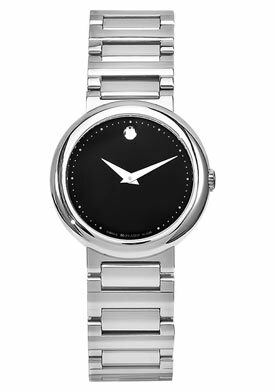 The Movado Concerto watch is an exceptional Cyber Monday luxury timepiece selection for women. This contemporary Swiss-made women’s watch features the perfectly round case in premium grade stainless steel, highly polished to a mirror-bright glow, presented on the attractive horizontal link bracelet in polished premium grade stainless steel. The signature, updated Movado Museum dial features polished silver colored sword hands and the signature Concave dot at the 12 o’clock hour along with cabochon dot hour and minute markers. 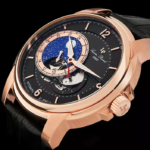 Features include Swiss-made quartz movement inside for precise time-keeping accuracy, along with a scratch resistant sapphire crystal above the dial and water-resistance to 30 meters or 100 feet. The Movado Concerto watch is 30mm in diameter and 7mm thick. The Swiss Legend Blue Geneve men’s watch is another outstanding selection that you would expect to pay far more for. This premium crafted men’s watch features the twelve-sided dodecagon shaped case and matching horizontal link bracelet in brushed and polished premium grade stainless steel. The attractive black ceramic bezel with screened markers surrounds the black dial with a textured center background, an automatic date window at the 3 o’clock hour, luminous skeleton hands and hour markers. 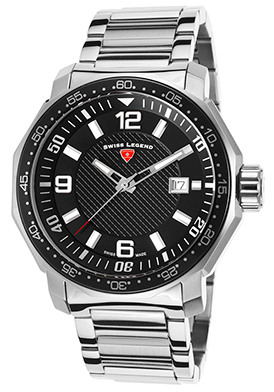 Features include premium Swiss-made quartz movement inside, a locking screw-down crown and case back for water-resistance to 200 meters or 600 feet and a scratch resistant Sapphitek crystal above the dial. The Swiss Legend Blue Geneve men’s watch is 46mm in diameter and 14mm thick. 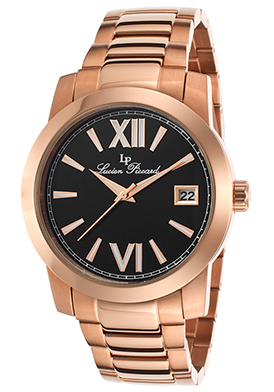 You’ll do a double take when you see our Cyber Monday pricing on the Lucien Piccard Bordeaux women’s watch in rose gold-tone stainless steel. This classic contemporary women’s watch features the contoured round case and matching horizontal link bracelet in a brushed and polished rose gold-tone finish. The attractive black dial shines with rose gold-tone sword hands and rose gold-tone outlined baton and Roman numeral hour markers. Features include quality quartz movement inside, a scratch resistant Sapphitek crystal above the dial and water-resistance to 50 meters or 165 feet. The Lucien Piccard Bordeaux women’s watch is 42mm in diameter and 9mm thick. 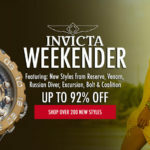 Free shipping and free returns are included on all domestic men’s and women’s watch purchases within the continental United States at World of Watches. Cyber Monday coupon savings end tonight at 11:59 pm EST.